Crocodiles of the World is devoted to the worldwide conservation of crocodiles, alligators, caimans and the related gharials, and their habitats. 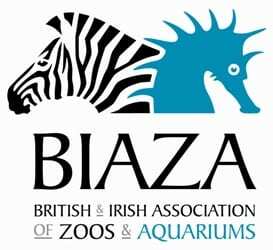 Like most British zoological institutions, Crocodiles of the World receives no government funding and relies completely on the kind support and generosity of visitors and local people. So please support us by visiting Crocodiles of the World or by making a donation to support our research, conservation breeding, animal welfare, and education work, both at the zoo and through conservation projects we support around the world. Make a one-off donation by sending a cheque payable to “Crocodiles of the World Foundation” and completing the Gift Aid Declaration on the Gift Aid Form below. Gift Aiding your donation allows us to claim back 25% of the value of your donation. You can also donate online using your credit or debit card through PayPal. Simply select your donation amount, click ‘ Donate’, and your payment will be taken online. Make a one-off donation by sending a cheque payable to “Crocodiles of the World Foundation” and completing the Gift Aid Declaration on the Gift Aid Form below. All donations through PayPal are 100% secure. Your donation will help ensure we can be there to provide the long-term care and support they urgently need. You can help by simply spreading the word about our mission and encouraging your friends and family to visit us at our new home. 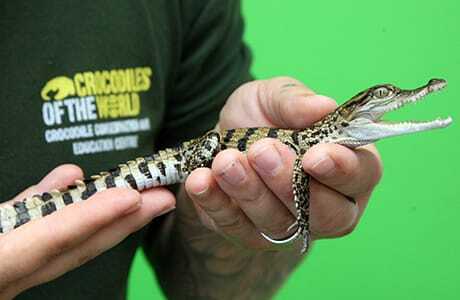 Donations to Crocodiles of the World go towards our work for crocodiles and crocodile conservation. We are part of an international community of responsible zoos running cooperative captive breeding programmes and work with international crocodile groups to increase understanding of the issues involved in conservation and the breeding of endangered species. The bulk of the money you donate goes toward animal welfare, husbandry and management. This includes food, heating, veterinary bills and medications, building and general maintenance work. As with the money generated from entrance fees, a portion of the money donated to Crocodiles of the World goes toward crocodile conservation programs around the world. 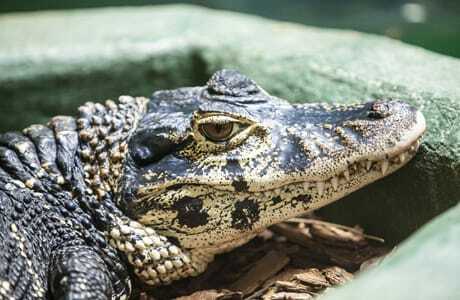 Programs that Crocodiles of the World plan to actively support in 2014 include: Crocodile Specialist Group, Tomistoma Task Force, Gharial Conservation Alliance, and the Chinese Alligator Fund. For more information on supporting our work please contact us.